On the 3rd of November 1954, Henri Matisse died in Niece, France. He was an exceptional artist with a unique and brave vision that allowed him to break away from all artistic conventions of his time. Yes, he did have a short liaison with Impressionism, but the impact of his later achievements on art could be compared to the one the Copernican Revolution had on science. The Impressionists unquestionably gave him the ‘tool’ to search for new perspectives and he fully embraced it and pushed the notion of art on to a completely new trajectory. In a way Matisse bridged Impressionism with what followed afterwards, yet he managed to stay totally independent. The biggest statement of his artistic independence was Fauvism. Between 1900 and 1910 Matisse painted in a style that nobody had seen before. His emphasis on strong colours over the representational or realistic values retained by the Impressionists made of him a pioneer of this artistic style. His brave move came at a cost of losing some financial security. Nevertheless, this would later pay off. 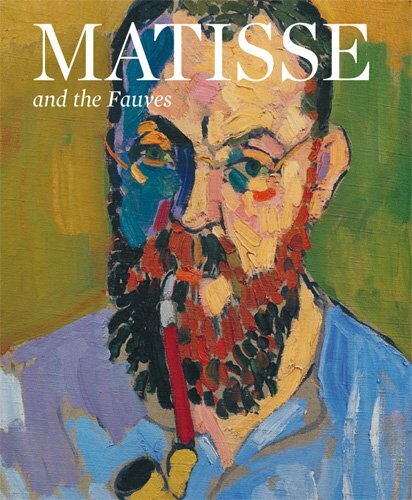 One of the greatest paintings from the period of Matisse’s adventure with Fauvism is probably the Joy of Life. It is also a great example of ‘bridging’ between Impressionism and Cubism. The work on the painting began in 1905 and ended just in time for the Salon des Indépendants of 1906. That year Matisse also acquainted a young and still relatively unknown artist, Pablo Picasso. From then on the relationship between the two would become as much of a friendship as rivalry. And this would also reflect on their art. Only by looking at the Joy of Life and the Demoiselles d’Avignon, on which Picasso started working already in 1906 (coincidence? ), one can notice certain stylistic resemblance. “Alfred Barr has drawn attention to certain connections between the Matisse painting and Picasso’s Demoiselles d’Avignon. He points out that each canvas represents a concentrated effort of the respective artist upon a major work, major in size, in form, and in content. Mr. Barr refers to the similarities in line and coloring between the framing foliage of the Joy and the curtains of the Demoiselles, and he has shown that in the early sketches, Picasso’s format and composition were similar to the Matisse picture. It might be added that the central figure in the Demoiselles strikes a pose which is reminiscent of one seen in the Joy (extreme left), and elsewhere in the Matisse are various poses and gestures which appear in slightly different arrangements in the Picasso.” (Carla Gottlieb, College Art Journal, Vol. 18, No. 2, Winter, 1959). Of course we must not be ignorant of stylistic differences between the two paintings, such as the use of colours or depiction of the models’ bodies, which in Matisse’s painting look more natural in comparison to Picasso’s sharply edged Demoiselles; even the energetic or atmospheric charge is different in both paintings. However, the influence of Matisse on Picasso is unquestionable. Approaching this situation from another perspective, one can also notice that Matisse’s Joy bears certain resemblance, especially in the characteristic pose of one of the figures in both paintings, to Cézanne’s Four Bathers (1900). This example shows clearly that all these interconnections and mutual inspirations among the artists were very important in the emergence of various modernist movements. 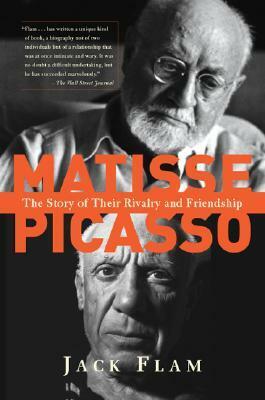 Matisse and Picasso formed eventually a long lasting bond, which can be most accurately summarised by what allegedly Matisse said once to Picasso: “We must talk to each other as much as we can. When one of us dies, there will be some things the other will never be able to talk of with anyone else.” However, the character of this bond is disputable, as after Matisse’s death Picasso did not even bother to attend his funeral. When Brassaï, a Hungarian photographer and a close friend of Matisse and Picasso, was asked why the latter did not go to Matisse’s funeral, he said: “Because he didn’t like death. He didn’t like thinking about death. He didn’t like going to the cemetery and to church and all that. And he thought that if he stopped working, that was death. So, that’s why until his death he worked every day.” (Edward Lucie-Smith, The Faber Book of Art Anecdotes ). In other words, Picasso simply chose the joy of life! Very interesting! Glad to learn more. But doesn’t your title and your last sentence contradict one another? A twentieth century great – I’ve a couple of pieces about him on my blog. This was such a delight to read. Thank you!